Our review of the OCZ Trion 100 hailed it as "Bringing Toshiba to the Retail". 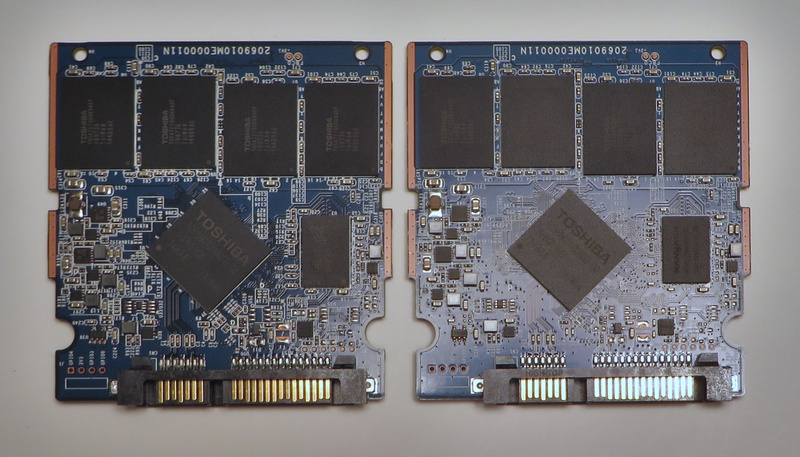 The Trion 100 was branded as an OCZ drive, but it was almost entirely developed and manufactured by parent company Toshiba as their first non-OEM SSD. 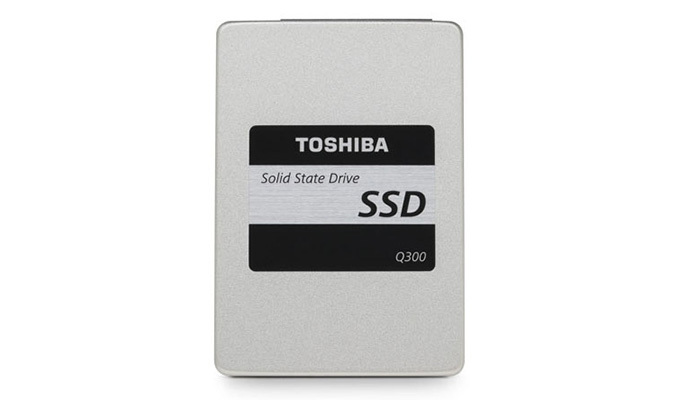 A few months later, Toshiba entered the retail SSD market under their own brand with the Q300 and Q300 Pro SSDs. The Q300 is based on the same hardware platform as the Trion 100 and is the entry-level model in Toshiba's retail SSD line. For long-time followers of the SSD market, OCZ's brand may still be associated with controversy and the factors that contributed to their bankruptcy and eventual acquisition by Toshiba. In the broader consumer market OCZ is relatively unknown. By contrast, Toshiba is a massive conglomerate that has been a household name for decades. Drives like the Q300 are intended to expand the SSD market at the low end and are marketed as alternatives to hard drives rather than replacements for previous SSDs. In that light, it appears that Toshiba's strategy may have been to use the Trion 100's earlier release to make sure everything was working properly before releasing the Q300 to catch the eye of a wider audience. Both the OCZ Trion 100 and the Toshiba Q300 are based around the Toshiba TC58NC1000 controller, Toshiba's custom edition of the Phison S10 controller. Toshiba already manufactures Phison's drives that are sold to many other brands, so selling some under their own brands was a small step. The Trion 100 and Q300 use the same PCB, one that is extremely similar to other Phison drives we have encountered but with some minor differences in component selection. The hardware of the Trion 100 and Q300 differs only in the selection of DRAM: The Trion uses Nanya DRAM where the Q300 has a Micron DRAM chip. Both drives sport the same Toshiba A19nm 128Gb TLC NAND flash in four packages with up to 16 die per package for the 960GB versions. As SSDs with TLC flash are primarily geared towards the entry level market, they are developed with a focus on price and capacity balanced against more modest performance. Aside from Samsung's 850 EVO, the current crop of TLC drives are all low-end drives judging by their performance - with the similar Trion 100 among the slowest - and the market is in a race to the bottom trying to offer the lowest cost per gigabyte. However with that said, even our current slowest SSD (the Crucial BX200) is significantly faster than a hard drive. As low-end SSDs close in on hard drive prices, they are making the higher performance and lower latency of SSDs available to a wider range of computers. The Q300's initial MSRP and its current price direct from Toshiba make it clear they're somewhat in denial about its status as a low-end drive, but prices at other retailers are only slightly higher than the Trion 100. MX100's are awesome drives, I have a pair in my webserver with a M4 for the boot drive. Sadly, the whole issue appears to be (with the exception of Samsungs drives) the TLC. When having to account for the 8 different voltage states required for 3 bit per cell it seems that the controllers are not up to the task of getting things done quickly. "No, he said 3, not 3"